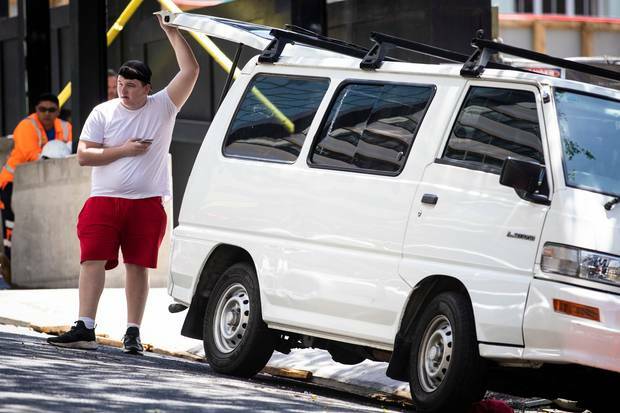 A 26-year-old woman connected to the troublesome English tourists who have left a trail of destruction in Auckland has been arrested and charged with theft in Hamilton. A police spokeswoman said the woman will be appearing in Hamilton District Court on Wednesday. The group were pulled over by police in Hamilton and warned about inappropriate child restraints just hours after being served a deportation notice. The group was pulled over in Harrowfield, a northern Hamilton suburb and told two of the three children aged under 5 in the car were not in the correct child restraints. Police took one of the adults to The Warehouse so they could purchase the correct car seats before taking them back to their car, Waikato Police senior sergeant Gill Meadows said. Meadows said warnings were given for the children not being in the appropriate car seats. Police did not pay for the car seats. "It was just about education, prevention and taking care of the young ones in the car." The car was pulled over by two police cars as part of a routine check about 3.45pm. Immigration staff who served Deportation Liability Notices (DLN) on people in the group at Burger King just after 3pm today were also at the Harrowfield stop speaking to some members of the party. The New Zealand Herald understands police left part of the family group standing on the side of the road while they took other members to get car seats. The family members were then seen putting car seats in the dark green vehicle before driving further into Harrowfield. One Harrowfield Drive resident told the Herald she asked the group what they were doing and were told they were waiting to be picked up. They told her that they were Irish residents. They moved on from near her house just after 5pm. She said there appeared to be too many people in the car for the amount of seats and wondered how they were all fitting in. Another Harrowfield resident said she drove past several police cars parked up about 40m from the Harrowfield Dr intersection at about 3.45pm. The woman said police were talking to a group of people including a young woman and a man with a large tummy. She and her husband said it looked like police had just pulled the occupants in the vehicle over as the lights on the police car were still flashing. The tourists caused controversy at Takapuna Beach. 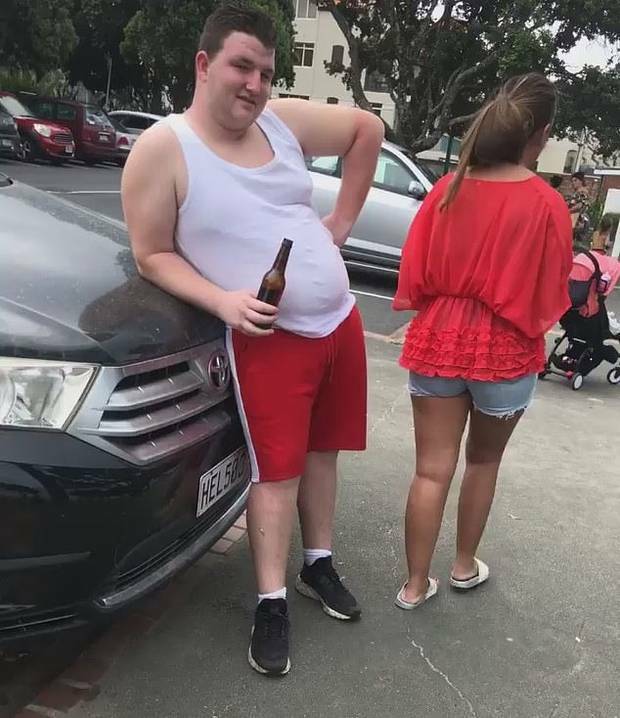 The drama with the tourists first started at Takapuna Beach on Sunday when the family left a large pile of rubbish at the beach and started abusing a woman when she asked them to remove it. Business owners have also revealed how the family tried to scam them and get meals for free. The family was trespassed from Burger King Te Rapa after the family walked through the drive-through. They had been at the restaurant earlier in the day causing a nuisance and complaining about and asking for free food. The family told the Herald in an exclusive interview earlier today that they would be leaving New Zealand early because they had been misrepresented and no longer felt comfortable in New Zealand. I love the spin put on by this family group. They're not leaving because they got deportation notices, they're leaving of their own free will. That should be a Tui billboard.